Erected by public subscription in 1845, this Grade II* Listed monument was sculpted in marble and sandstone by John Graham Lough and stands on top of a pedestal designed by well-known, local architect John Dobson. 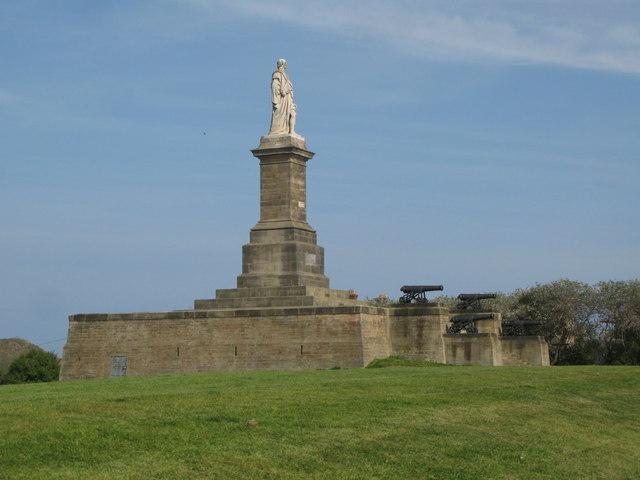 The position of the monument marks Collingwood's family connection with North Shields (members of his family lived close by at Chirton, North Shields) and allows the statue to be seen from the sea and the river. 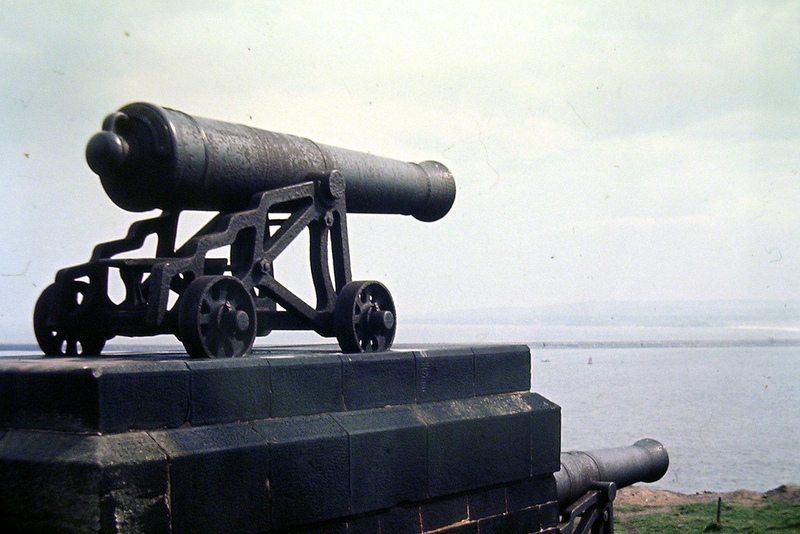 The four cannons flanking the steps came from the flagship Royal Sovereign and were added in 1848. Born in Newcastle in 1748, Cuthbert Collingwood joined the Royal Navy in 1761. On-board the frigate Shannon, commanded by his uncle, Captain (afterwards Admiral) Braithwaite, he learned the rudiments of seamanship. The American War of Independence and then the Napoleonic War pitched him into a number of victorious encounters and he rose swiftly through the naval ranks with his friend Horatio Nelson, whom he had met in Jamaica in 1772 whilst they were both midshipmen. 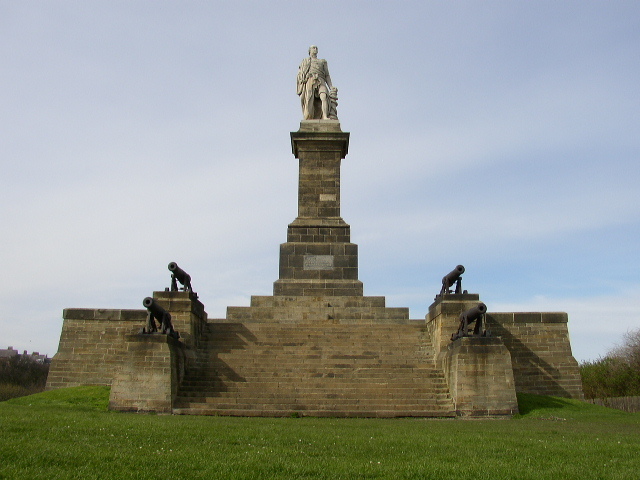 Though remaining fond of his North East roots, Collingwood never returned to his family in Morpeth after the Battle of Trafalgar. He died at sea near Menorca in 1810 and was later buried in St. Paul's Cathedral beside Nelson.